For all of the apprentices in their system and other aspiring farmers. Such a great model. 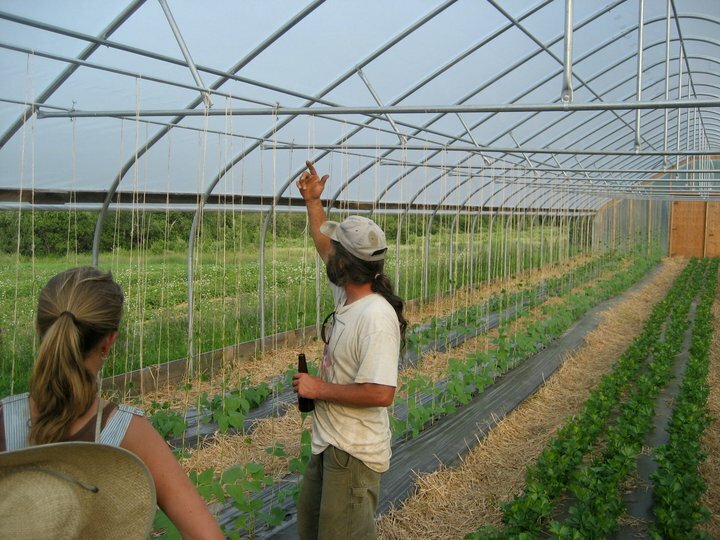 The greenhouse is a key part of any organic farm. As “the place where it all starts,” but also the place where a whole lot can go wrong in a hurry, learning proper greenhouse management is essential. Come see how Mark Guzzi & Marcia Ferry of Peacemeal Farm use their greenhouses for both starting the season and post-harvest handling as well as how they manage fertility, water, pests and diseases inside. Join us for a second workshop in Southern Maine which will feature greenhouse tours of three farms. We’ll start at Broadturn Farm, then head to Snell Family Farm, followed by Frith Farm. A potluck will follow, held at Frith Farm.